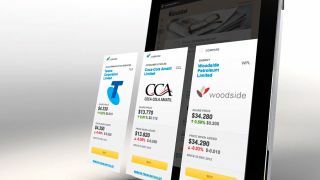 Commonwealth Bank (CBA) today launched a new online hub for self-managed investments, simplifying the process of buying and selling shares to a few simple mouse movements. Dubbed MyWealth, the new website brings together banking basics and investment purchasing, with education, community forums and a detailed news section staffed by an internal editorial team. The service is free of charges to use, and non-CBA customers can sign in with an email address to explore elements of the site that don't require a bank account. The goal of MyWealth is to better service the 3 million Australians who are already active in self-directed investing, according to CBA's Stephen Karpin, Executive General Manager Equities Margin Lending. "[Our customers] want something online that is very rich, informative and engaging," said Karpin. "What we're bringing to market, having spoken with our customers, is not a typical thing for a financial services institution in Australia." The service will also appeal to first time and casual investors, with a lot of the complexity and jargon of brokering removed from this site's layout. Stock exchange abbreviations are replaced by full company names and logos, context-sensitive help pages are easily found and live chat with CBA staff is available. A new user can buy stock for their portfolio with very little input. If anything, we wonder whether lowering the bar to investing is dangerous for the uninitiated. If you've recently beat a World of Warcraft addiction, this looks like just the thing to scratch that itch — and with better loot. What do you think? Would you be tempted to enter world of investment if it was as easy as clicking the 'But It Now' button on eBay? Let us know in the comments below.